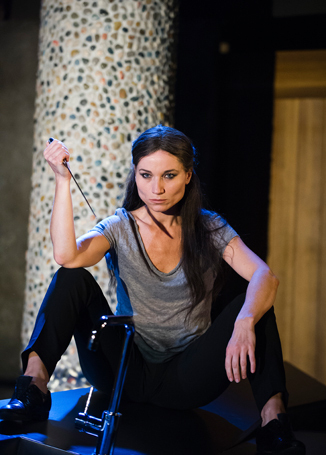 To date, the Almeida Theatre’s Greeks season has been absolutely thundering. Following audacious, storm-summoning productions of Oresteia and Bakkhai, Rupert Goold completes the trilogy with his own take on Euripides, tying a great big ribbon around things – or, rather, an umbilical cord. 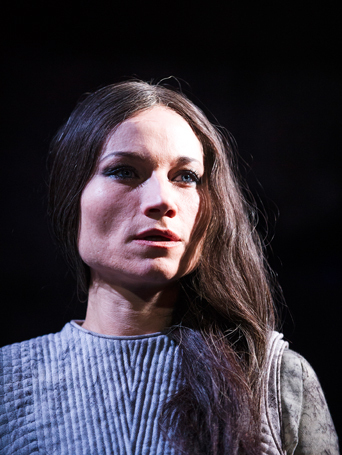 Together with author Rachel Cusk, he has made a version of Medea which is absolutely a play about women – or, more specifically, about women like Cusk. 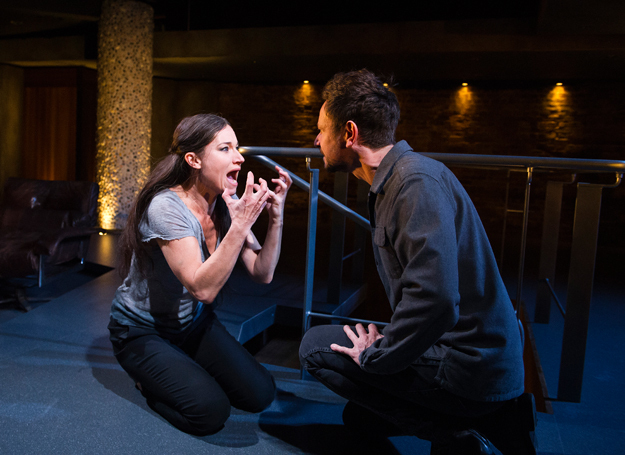 Her Medea is a successful writer whose marriage to a similarly accomplished husband is falling messily apart. Their two children, products of their union, of their bodies, are caught in the middle and she is acutely aware of her shifting social status, ageing and un-partnered, drifting towards obsolescence. 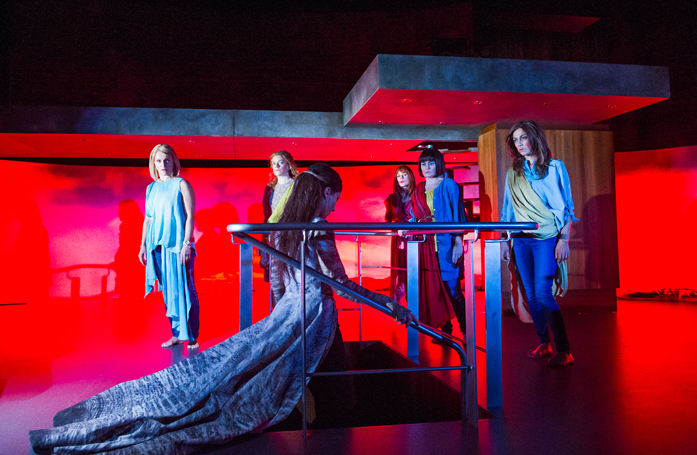 Georgina Lamb (Chorus), Emily Mytton (Chorus), Kate Fleetwood (Medea), Charlotte Randle (Chorus), Sarah Belcher (Chorus) and Ruth Everett (Chorus) in Medea by Euripides @ Almeida Theatre. 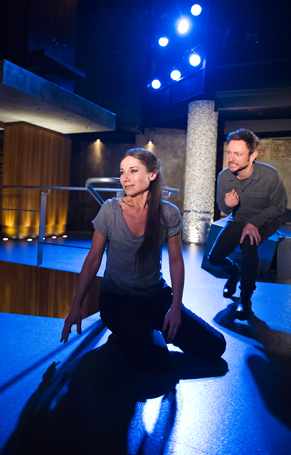 Directed by Rupert Goold. 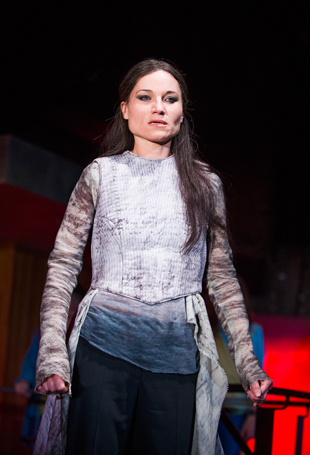 Kate Fleetwood (Medea) in Medea by Euripides @ Almeida Theatre. 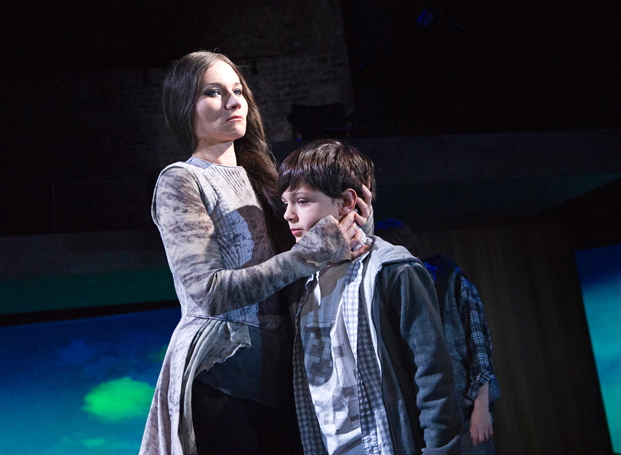 Directed by Rupert Goold. 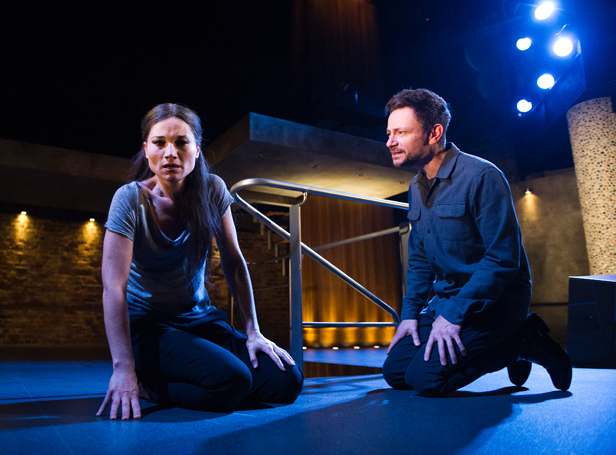 Kate Fleetwood (Medea) and Justin Salinger (Jason) in Medea by Euripides @ Almeida Theatre. Directed by Rupert Goold. Kate Fleetwood (Medea) and Lukas Rolfe (Boy) in Medea by Euripides @ Almeida Theatre. 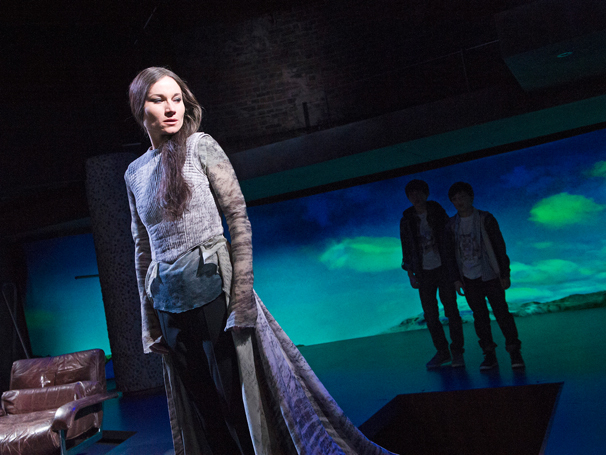 Directed by Rupert Goold. 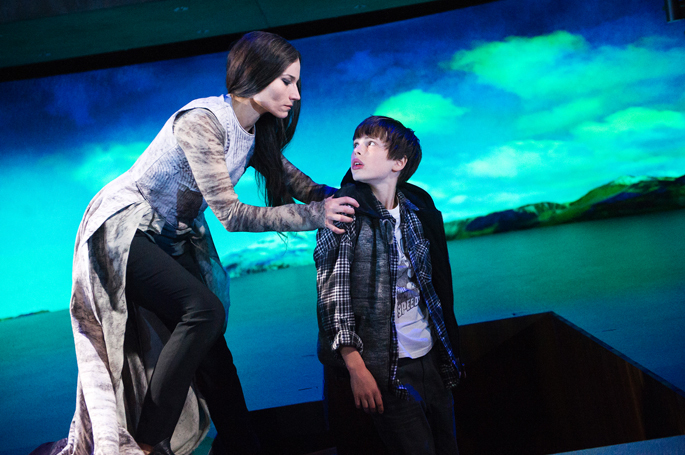 Kate Fleetwood (Medea) and Sam Smith (Boy) in Medea by Euripides @ Almeida Theatre. Directed by Rupert Goold. 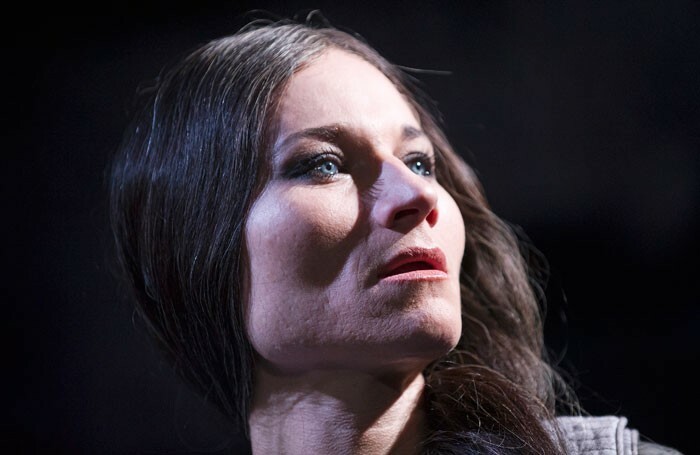 Kate Fleetwood is elemental in the title role, captivating throughout, cool and sharp as a Japanese kitchen knife but also faintly animal and fire-eyed. There are some brilliant directorial flourishes from Goold here too: a chorus enter cradling eerie plastic babies while dancing to the slowed-down strains of Britney Spears, and later there is a magnificent reframing of the space, the walls of the characters’ luxurious chrome and concrete home peeling away, the mythic realm encroaching. 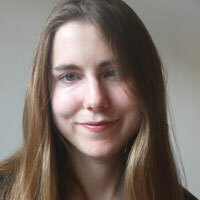 As a novelist and particularly as a writer of memoir, Cusk excels at exploring the under-discussed, the trauma of motherhood, the bloody rupture of divorce. 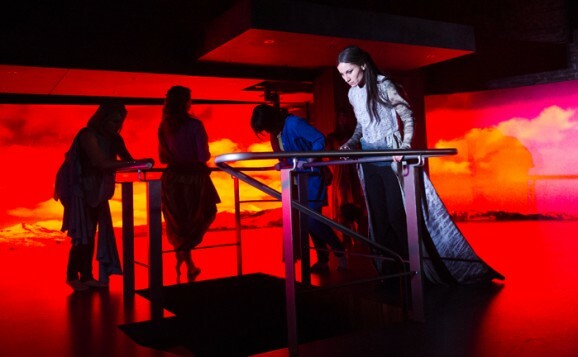 But the production is undermined by the permeating taint of privilege, of wealth, like tea seeping into paper, and it has a real impact on its potential to devastate. There’s laziness here too, particularly in the use of a Brazilian cleaner to earth things, to provide a lone window out of this opulent basement world.